Do you really want to annoy the person who’s writing at least one Season 3 script? 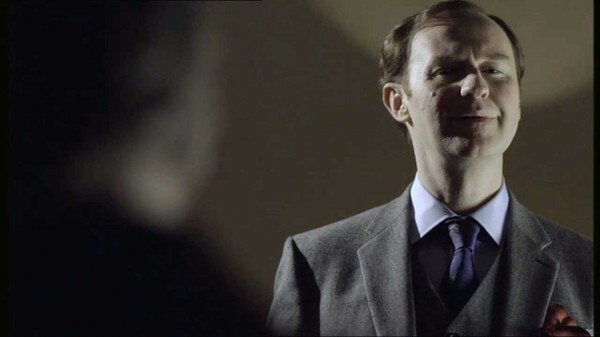 Seriously, people, we want to keep Mark Gatiss (and Steven Moffat) happy. Yes, we are all miserable having to wait for Season 3. Yes, John is being tortured in a alternate universe while we are being tortured in this one. Yes, we want to know how Sherlock did it (although I will point out the large bus and equally large truck blocking the street level view of the body landing…). But it’s not wise to taunt the tigers. This entry was posted in Captions and tagged bbc sherlock, Mark Gatiss, Mycroft Holmes, photo caption, tv series on June 20, 2012 by JH Watson.